An Unholy Alliance offers a dissenting view to the claim by a growing number of scholars that Sports are a new religion. The last few years have seen a spate of books that might be classified by a genre called "Sports Apologetics," that is, arguments defending or celebrating in one way or another the familiar and ongoing alliance in America between sports and religion. Recently, claims have been made by scholars that sports are an authentic religion in and of them-selves. They make this startling assertion not by showing connections with the teachings of Buddha, Jesus, Mohammed, or Moses, but by parallels between the rites of modern games and those of preliterate man that were "religious" in nature because they were designed to propitiate powers and to ward off evil for the tribes employing them. In this evocative book, Higgs and Braswell suggest that while sports may often be good things, they are not inherently divine. They do not focus on wide-spread abuse in sports as evidence for their counterargument. Rather, they question the use of mythological parallels from prehistory as justification for viewing sports as a religion. By using Buddhism as a lens to examine NASCAR racing—and NASCAR as a means to illustrate Buddhist teachings, Buddha on the Backstretch provides a unique new perspective to the field of sports and spirituality. Not aimed solely at either Buddhists or race fans, the work’s message of self-improvement via popular culture serves as a Zen and the Art of Motorcycle Maintenance for a new generation. Buddha on the Backstretch considers mindfulness, handling setbacks, patience, discipline, heightened awareness, impermanence, equanimity, and how we face death. Amidst a proliferation of scholarly literature about Islam in the United States, very little attention has been given to sports among Muslim Americans. While books about professional Muslim athletes can be found, this is the first book to investigate Muslim American sports at the local level, looking at Muslim basketball leagues, sports programs at mosques and Islamic schools, and sports events hosted by Muslim organizations. Drawing upon personal interviews and observations as well as scholarly sources, this book demonstrates that participation in sports activities plays a vital role in strengthening Islamic piety and fellowship, and in connecting Muslims with non-Muslims in post-9/11 America. In From Season to Season: Sports as American Religion, nine scholars explore the relationship between religion and sports in American culture. Topics explored include: " The Rhythmic and Religious Significance of American Sports Seasons" "The Pitcher’s Mound as Cosmic Mountain" "The Fetish and McGwire’s Balls" "The Super Bowl as Religious Festival" "The Final Four as Final Judgment " "A Puckish Reflection on Religion in Canada" "Myth and Ritual in Professional Wrestling"
GOD, NIMROD, AND THE WORLD presents the perspectives of more than two-dozen authors on the controversial sport of hunting, surveying the relationship between the blood sport and the salvation religion of Christianity. The first half of the book provides sketches of the diverse interpretations of hunting in Hebrew and Christian cultures of the last two millennia, finally giving voice to those in the field who are both practitioners and persons of faith. The second half offers prescriptions for the place of hunting in the life of contemporary Christians, with perspectives arguing for prohibition to those contending that hunting has a practical, even perfecting, place in the life of faith. The International Journal of Religion and Sport is a refereed print publication analyzing the interchanges between world religions, religious practice, spirituality, and global sport. The editors of the journal invite contributions that take seriously the study of religion and sport as well as scholarship investigating notions of sport as religious or spiritual practice. The journal seeks contributions using diverse methodological approaches to religion and sport from a variety of disciplines such as myth and ritual studies, historical studies, popular culture studies, and liturgical studies. The editors welcome original scholarship in English from international contributors in the form of essays, book reviews, and film reviews. 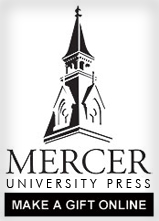 The journal is published yearly by Mercer University Press and is sponsored by the Centre for the Study of Sport and Spirituality at York/St. John College of the University of Leeds. International Journal of Religion and Sport is a refereed print publication analyzing the interchanges among world religions, religious practice, spirituality, and global sport. The editors of the journal invite contributions that take seriously the study of religion and sport as well as scholarship investigating notions of sport as religious or spiritual practice. Within the excellent, if underrated, body of adult baseball fiction that emerged in the latter half of the twentieth century, one finds a distinctive subgenre of baseball novels that feature the religious aspirations of their characters and the spiritual qualities of the game of baseball. The Great God Baseball looks at nine of these novels, including lesser known gems and established classics. It endeavors to make them more accessible to casual as well as serious readers, fans and non-fans alike, through discussion of key motifs, analysis of unique narrative structure, and frequent cross-references that locate the works in a literary context. The Literary Line-Up includes: 1. Douglass Wallop, The Year the Yankees Lost the Pennant (1954) 2. James F. Donohue, Spitballs & Holy Water (1977) 3. Jerome Charyn, The Seventh Babe (1979) 4. W. P. Kinsella, Shoeless Joe (1982) 5. Eric Rolfe Greenberg, The Celebrant (1983) 6. Nancy Willard, Things Invisible to See (1984) 7. W. P. Kinsella, The Iowa Baseball Confederacy (1986) 8. David James Duncan, The Brothers K (1992) 9. Darryl Brock, Havana Heat (2000) The varied religious experiences portrayed in these superb novels stimulate us to engage our society, our national pastime, our own imagination, and our sense of spiritual awareness. From a literary encounter with the great game of baseball, we emerge, as if from a church, temple, or ball park, different, re-created people. The Great God Baseball seeks to be an agent for this encounter.